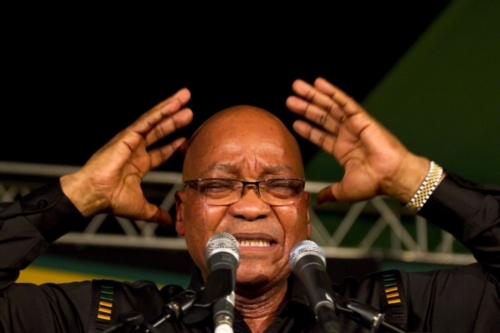 Joseph Zuma has accused the ANC of colluding with opposition parties. President Jacob Zuma’s brother, Joseph, has come to his defence following his resignation late on Wednesday night on the eve of a scheduled motion of no confidence in Zuma in the National Assembly. The 77-year-old has reportedly accused the ANC of colluding with opposition parties by recalling his brother before his terms ends next year as head of state. “This does not show justice. I don’t think they should have allowed him to be removed like this. We are not happy because his term was about to come to an end and if they were patient with each other they should have waited until he finished his term‚” Joseph told TimesLIVE on Thursday morning, speaking outside Zuma’s residence in KwaNxamalala in Nkandla, KwaZulu-Natal. He had joined a group of Zuma supporters that gathered outside the homestead to protest the president’s removal. Joseph said the Zuma family was not happy that the president got recalled from office, saying he did not understand why the ANC rushed to remove him. “We are very sad about this because he never said that he was not going to leave when his term expired,” he said. Joseph also slated the ANC for not demonstrating unity by removing Zuma from power, saying his brother was not involved in the recall of former president Thabo Mbeki back in 2008. “…And now they [ANC] make it as if it was he [who] was also part of that,” he said.